Gardening can have many positive effects on your physical and mental health. 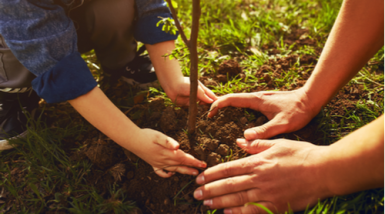 Whether you’re growing fruit and veggies, flowers or succulents, getting your green thumb on can have a surprising number of health benefits for you and your family. Depending on the size of your garden, maintaining it can be also be a great way to be physically active. This could be as strenuous as mowing the lawn, or as gentle as getting a good stretch and practice stabilising yourself while kneeling, sitting or reaching. In fact, gardening is a recommended activity as it can encourage the use of many motor skills, improve endurance and strength and keep you moving. Do you have a picky eater at your dinner table? Kids who are picky eaters may be keener to try new foods that they’ve helped to grow. 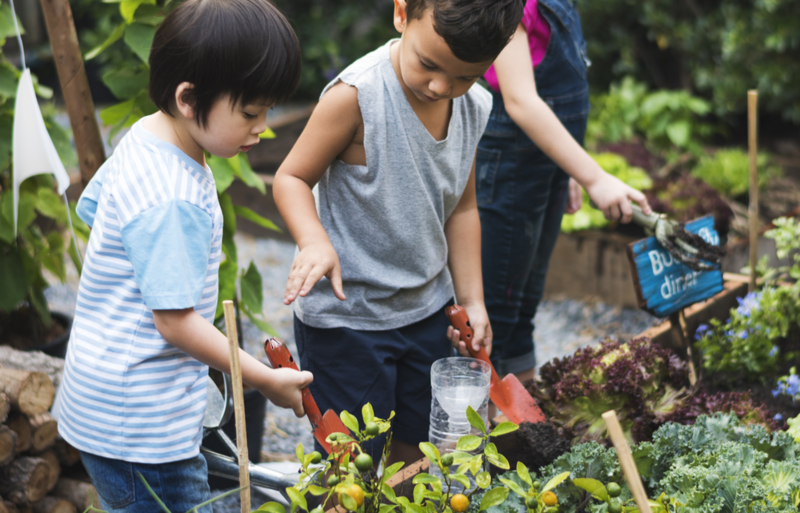 Watching the plants sprout and grow and waiting until fruit and veggies are ripe and ready to eat can help build their enthusiasm and excitement about healthy foods. The effect works on everyone, not just those with hard-to-please tastes. Growing your own fruit, vegetables and herbs will encourage you to eat seasonally, add more variety to your diet, encourage you to prepare homemade healthy dishes and learn to appreciate fresh produce. These days, we can buy pretty much any fruit and vegetable we want from the supermarket, at any time of year. But eating seasonally has important benefits for our bodies. Different fruits and vegetables are “in-season” at different times throughout the year. For example, asparagus and apricots grow in spring and summer, while Brussels sprouts get going in winter. Eating seasonally can keep healthy eating exciting by encouraging you to try new recipes using in-season produce. You will also get a wider variety of different coloured produce, providing nutritious vitamins and minerals in your diet throughout the year as the produce you eat changes with the seasons. Find out what’s in season at different times of the year in Queensland using the Healthier. Happier. Fruit and Veggie Seasonality Charts [PDF 369KB] and ask about the ideal planting times for your area at your local garden centre or nursery. Gardening is also a great way to relax, providing opportunities to still the mind and get away from the busyness of everyday life. There is even evidence to suggest that gardening can help ease symptoms of mental illnesses like depression and anxiety. Whether you’re gardening by yourself, or getting the whole family involved, it’s a great way to spend some time outdoors, away from screens and to-do lists, and engage with nature. From repetitive tasks like weeding that provide opportunity for meditation, to practising patience while waiting for plants to grow, gardening is a great exercise for your mind as well as your body. Gardening doesn’t have to be an outdoor activity – there are many varieties of plants that can be grown inside, too. 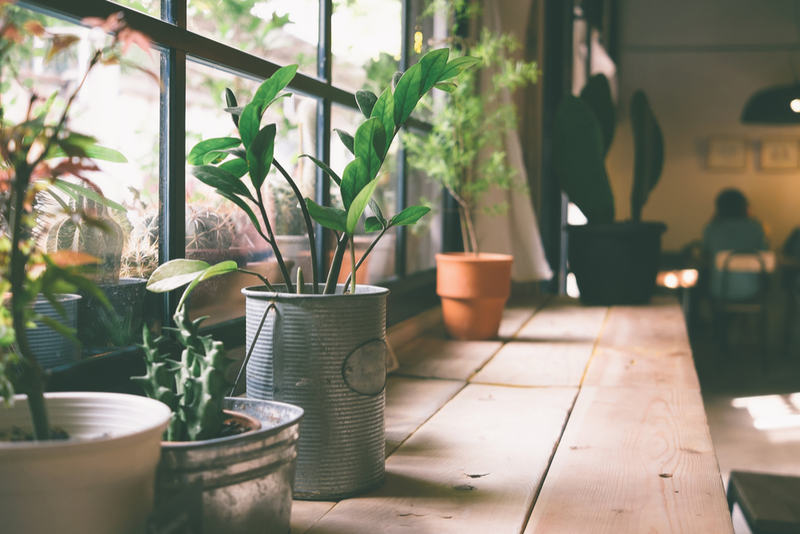 As well as making rooms look nice, indoor plants can help improve air quality in enclosed spaces. Some studies also suggest that indoor plants can boost the concentration and focus of office workers. Not all plants will grow well indoors, so you’ll need to research which varieties will grow well in the lighting and temperature of your room. Different fruits and vegetables grow best at different times of the year. The Healthier. Happier. website has articles on what plants to grow during different seasons and a guide to easy grow-your-own healthy foods. If you’re planting an edible garden, remember that not all plants are safe to eat. Make sure you plant non-toxic varieties, checking at your local garden store if you’re unsure. Don’t use chemical sprays or fertilisers on your edible garden. Always wear gloves when working with plant material, soil and fertilisers, and be sure to wash your hands when you’re finished. When working outside, remember to be safe in the sun by wearing a broad-brimmed hat and protective clothing, wearing sunglasses, using a broad spectrum SPF 30 or higher sunscreen, working in the shade when possible and drinking plenty of water. Some councils and community groups offer gardening workshops, or set up community gardening sites, to help locals learn about gardening and growing edible plants. You can also find more information about starting a garden on the Better Health website and from this list of links on the Healthier. Happier. website.